So what? 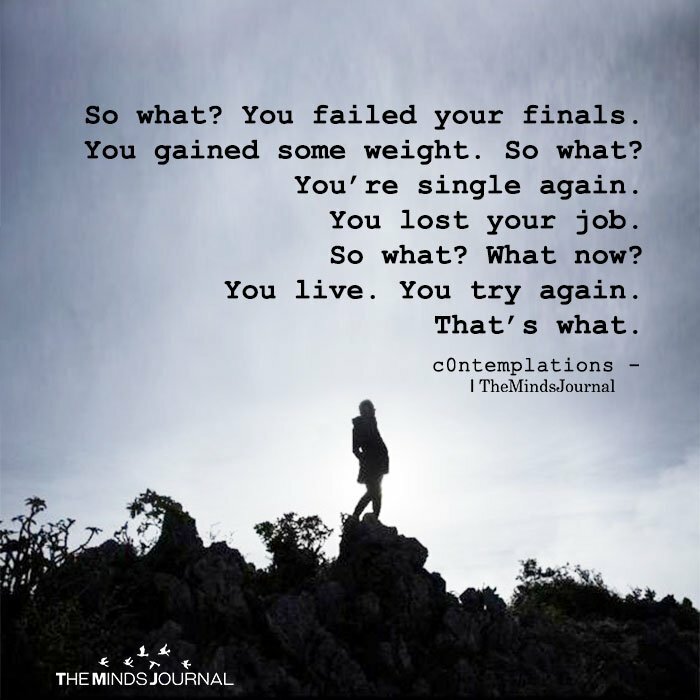 You failed your finals. You gained some weight. So what? You’re single again. You lost your job. So what? What now? You live. You try again. That’s what.